We are one of the leading manufacturers of Reactors and Transformers upto 25 MVAR/MVA, 220 KV and have supplied more than 1,00,000 Reactors and transformers including Power Grid installations all over India and abroad. With over 35 years of successful design and manufacturing background and continued improvement practices in Reactors & Transformers, we are marching ahead to meet major requirements of private industries and public utilities like Iron & Steel Industries, Cement Industries, Oil & Gas Refineries, Metal & Alloy Industries & Capacitors manufacturers etc. The company is looked after by technocrate directors, each individually having over 35 years experience in the field with a dynamic team of engineers of all age groups. Part of this experience is gained by working in reputed companies like BHEL, Bhopal & Crompton Greaves Ltd. All the directors have received overseas training in U.K. with Hawker Siddley group of Companies in their transformer division at London. 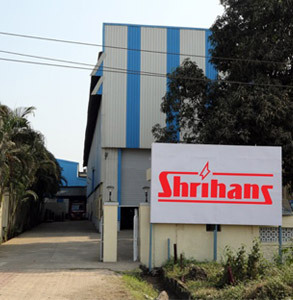 The company started its operations in year 1985 at MIDC Taloja, New Mumbai, India with the factory built area of about 3000 sq.m and plot area of 4050 sq.mtr. We have concentrated more on manufacture of special purpose transformers & series / shunt reactors. At present we are one of the most leading manufacturers of series / shunt reactors in India. 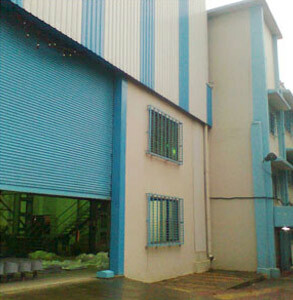 We have full fledged manufacturing units with modern processing and testing facilities and is located at MIDC Industrial area, Taloja, in the outskirts of Mumbai. 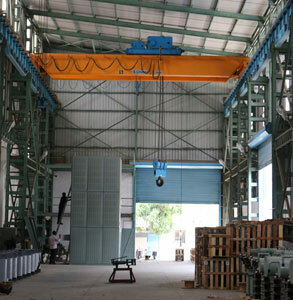 We are approved by RDSO (for Railways), MECON (for Steel Industries), EIL (for Oil Refineries), TATAs, TOYO Engineering, Ordinance factories and various SEBs in India. We have installed our 33KV Neutral grounding transformers at 3 Powergrid substations.